There is a scene from The West Wing. You’re going to find that I bring up that show every now and again. Leo McGarry is the White House Chief of Staff. He’s also an alcoholic. A few years before the scene in the show, he was sober. And then he fell off the wagon. It was an important night during the president’s first campaign, and he was meeting with some donors, and they decided to have a drink. So Leo had a drink. And then another one. And then another one. And someone in the scene asks him how he could have a drink. In a God who you can’t see and, sometimes, who you can’t even feel. In the idea that that God came to live as one of us, 2,000 years ago, in a backwater province of a great empire, among a dispossessed people. That that God-become-one-of-us was executed by the powers or that empire… and that he got back up again. That the sprit of that God is in us and around us and advocating for us and empowering us. That someday, this world that is so messed up in so many ways, will get better. And sometimes, we have to take those things on faith. We have to trust that they are true. Even if we can’t quite be sure. But there is something in Christianity that is empirically verifiable. There is something in Christianity that we can know is true… for certain… without one iota of doubt: the world is messed up; we are messed up. We all have our thing. We all have our things. We all have those feelings that we will pursue no matter what, no matter how it gets in the way of being the people we want to be, not matter how much it hurts us… or our friends… or our families… or complete strangers. To put it in Christian terms: we all experience temptation and we all give in. I know I do. 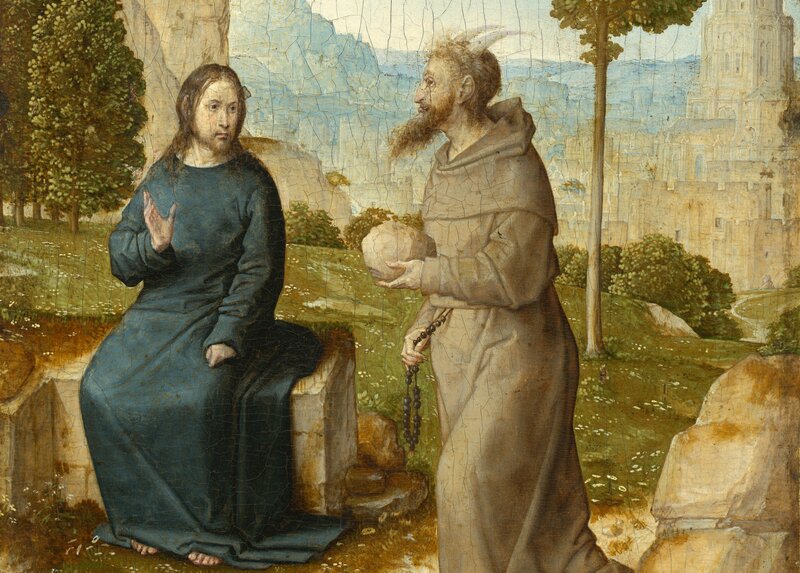 In today’s reading, Jesus is tempted. It says so right in the Bible: the Spirit leads Jesus into the wilderness to be tempted by the devil. And you would think that would be the end of the story. Jesus is baptized, his sonship is confirmed, now it’s time to go into the world and recruit some disciples and perform some miracles and get on with things. But no… we’re doing it this way. That same Spirit grabs Jesus and takes him into the wilderness: away from John and the river and his family and his community. And he fasts for forty days and forty nights and he is famished. And here comes the tempter. And I have to believe that Jesus was tempted. I have to believe that he was tempted because scripture says so: the Spirit led Jesus into the wilderness to be tempted by the devil. The Spirit did not fail. And I have to believe that he was tempted because he is fully God and fully human, and temptation is part of being fully human. Jesus resisted temptation. And part of how Jesus did that is by relying on scripture. And the devil leaves… and that’s great. But the reality of temptation is that quoting scripture doesn’t always work. And the devil can quote scripture, too. And Jesus is still hungry. The reality of temptation is that it is universal. We all have those moments when we are tempted to step away from the life that God wants us to have. For some of us, it’s the usual tempting culprits. I don’t need to name them. You know them. The devil is a master of making sin look righteous. And he can quote scripture, too. And, for some of us, the culprit is the high we get from judging someone else who is being tempted or who has succumbed to temptation. Temptation is universal. We have all been there. We have all failed. We are all in this together. But here’s the thing: God has been there, too. Christ faced the devil. He prevailed, but he was tempted. It says so right in the Bible: the Spirit led Jesus into the wilderness to be tempted by the devil. We are Christians. And Christianity asks you to believe a lot of things. And I’ll be honest, the biggest thing it asks us to believe is that God has been there, too. The world is messed up; we are messed up. We are stuck in this hole and we don’t know how to get out. And Christ jumps in with us. And that’s crazy. It is so crazy that generations of people have criticized Christianity on the grounds that our God is too weak, and doesn’t crush his enemies under his foot, and doesn’t rule the world by force, like any real god would do. Christ jumps in with us. And that’s crazy. That doesn’t mean that things will be easy. Being a Christian—taking the waters of baptism—doesn’t solve our problems all in one go. After Jesus sends the devil away, he is still hungry. And angels show up to wait on him. And that… that doesn’t happen for us. Unless, by the grace of God, we serve each other. Unless we put aside that temptation to judge our friends and neighbors who are struggling with temptation. Unless we admit that we’ve all been there. We are messed up, but we are not alone. We have each other. And we have a God who has been there before. Thanks be to God!